Social networking giant Facebook has passed Google, the world’s most popular search engine, as the most-visited site in the United States in 2010, according to leading Internet research and competitive intelligence firm Experian Hitwise. Facebook received 8.93 percent of all US web visits from January to November 2010, while Google accounted for 7.19 percent. Rounding out the top five were Yahoo! Mail (3.52 percent), Yahoo!, and YouTube (2.65 percent). Facebook ranked only third on the list last year, trailing Google and Yahoo! Mail. In 2008, it ranked ninth, behind sites like Google, MySpace, and eBay. “Facebook” was also the most-searched term for the second straight year, followed by “Facebook login” and “YouTube”. According to Experian Hitwise, however, the combination of Google-owned sites like Gmail, Google Maps, and YouTube still ranked ahead of Facebook properties, accounting for 9.85 percent of all US visits. Facebook received 8.93 percent, while Yahoo! properties came in third with 8.12 percent. The results of the study capped off what has perhaps been the biggest year in Facebook’s history. Last month, Facebook CEO and founder Mark Zuckerberg was named Time Magazine’s Person of the Year, and last July, the social networked reached a member base of 500 million users. 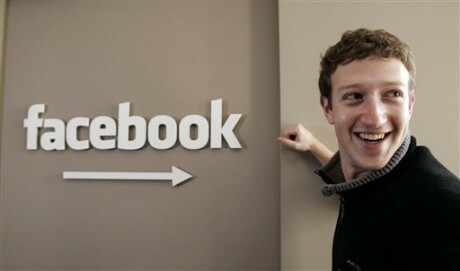 Zuckerberg was also the subject of a 2010 box office hit and critically acclaimed movie, The Social Network. Moreover, on exchanges for privately held companies, Facebook is now valued at over $45 billion.